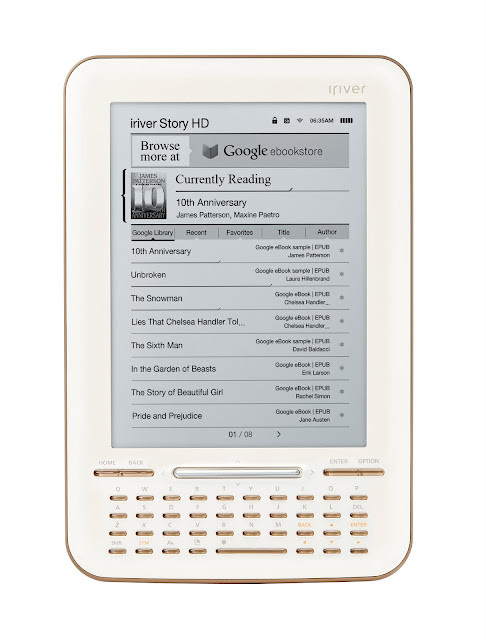 The First Google eBooks-integrated e-reader "iriver Story HD e-reader " will be available on July 17th in Target Stores. Google has announced that starting this coming Sunday, July 17, the iriver Story HD e-reader will be available for sale in Target stores nationwide and on Target.com. The iriver Story HD is the first e-reader integrated with the open Google eBooks platform, through which you can buy and read Google eBooks over Wi-Fi. The iriver Story HD is slim and lightweight with a high-resolution e-ink screen and a QWERTY keyboard for easy searching. The retail price is $139.99. 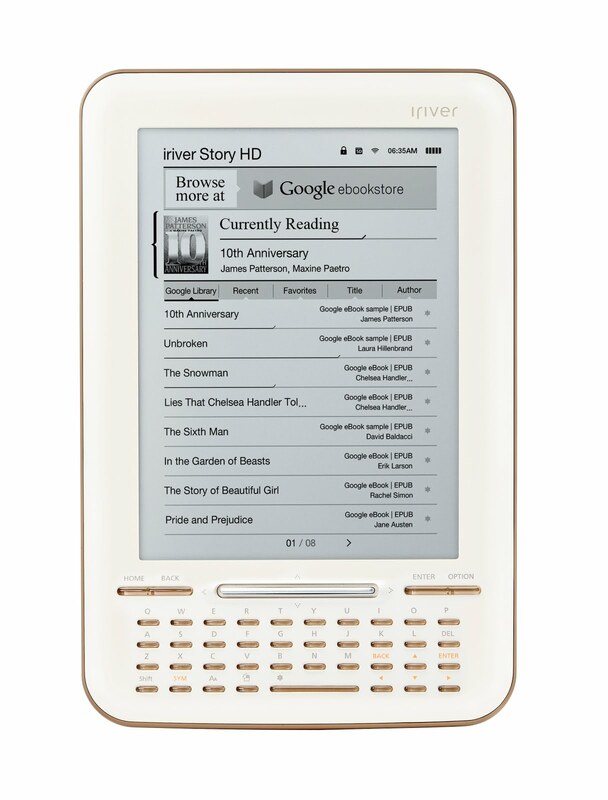 iriver becomes the first manufacturer to launch an e-reader integrated with Google eBooks. iriver is a global IT device powerhouse founded in 1999. iriver has become renowned for its product innovation, style-driven technology, and track record of market dominance. After producing many award-winning Portable Media devices, the company diversified its categories to include e-reader, Tablet PC, VoIP Phone, and more. Iriver is making its presence felt in the European e-reader market, including the U.K., Germany and Russia, as well as China. The company recently established a joint venture named L&I (L&I Electronic Technology Limited) with LG Display to reach new ground in the global e-reader market.